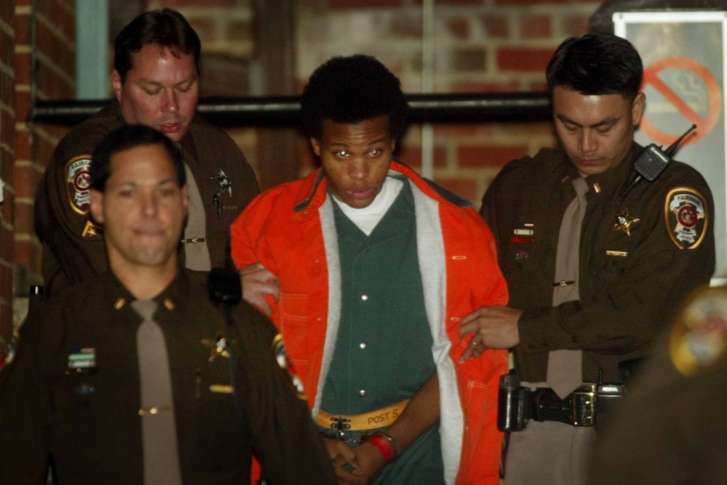 Lawyers for surviving Beltway sniper Lee Boyd Malvo will argue he should be resentenced, claiming his life sentences in Maryland are unconstitutional. In 2004, he pleaded guilty to murder in Spotsylvania County, and received another life in prison sentence in Virginia. Two years later, Malvo pleaded guilty to six murder charges in Montgomery County, and testified against accomplice John Allen Muhammad in Maryland. Muhammad was executed in Virginia in 2009. Malvo’s public defender, James Johnston, filed a motion in January 2017, arguing Malvo should be resentenced because of the 2016 high court decision. “Maryland’s sentencing scheme for juvenile homicide offenders includes a mandatory life sentence for first-degree murder, which Mr. Malvo was subjected to in this case,” Johnston wrote. Montgomery County State’s Attorney John McCarthy argues Malvo’s life sentences in Maryland were not mandatory. Prosecutors said Ryan determined Malvo was “the rare juvenile offender whose crime reflects ‘irreparable corruption'” before sentencing him to six consecutive life sentences. Malvo will likely never spend much time in a Maryland prison. He is currently serving a life sentence at Red Onion State Prison, in Pound, Virginia. Malvo’s attorneys in Virginia filed a similar request for resentencing, based on the 2016 Supreme Court ruling. That case is being argued in federal court in Norfolk.